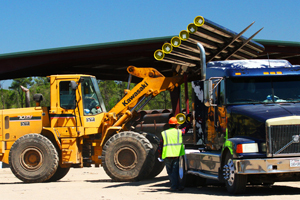 Stauffer Pipe offers a wide range of services to fill your pipe needs. We handle pipe storage with immediate reporting, pipe straightening, machine beveling, saw cutting, de-denting, seawater, chemical removal and so much more. In keeping our commitment to provide the services that best meet our customer’s needs, Stauffer is proud to now offer piling projects, fabricating, specialty coatings and reconditioning of large OD line pipe. 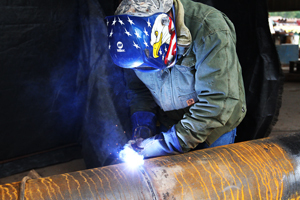 Straightening of Pipe Up to 36"
Machine Beveling 1/2" to 20"
Make & Break Collars 2" – 13 3/8"